After defeating Super Nerd Miguel near the end of Mt. Moon and receiving one of the Fossils he found because of it, you will soon encounter Jessie and James once more within the cave. 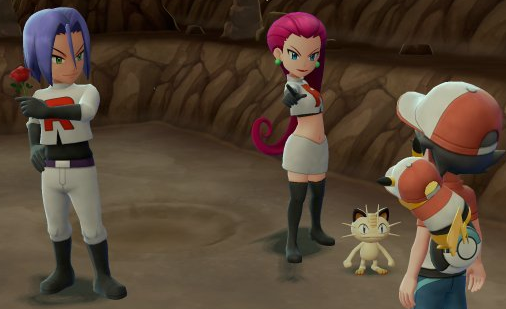 The infamous Team Rocket Duo will insist you give said fossil to them, and then they will battle you in hopes of forcing you to do so. After defeating them, they will leave peacefully for now, and the exit of Mt. Moon can then be accessed.